To claim this profile, please confirm you are Gracie Buyers. To follow this profile, please let us know your relationship to Gracie Buyers. Gracie's lacrosse stats have been updated for the win vs. Columbine. The Colorado Academy varsity lacrosse team won Monday's home non-conference game against Columbine (Littleton, CO) by a score of 20-5. The Colorado Academy varsity lacrosse team won Wednesday's home non-conference game against St. Ignatius (San Francisco, CA) by a score of 14-10. Gracie's lacrosse stats have been updated for the win vs. Chaparral. The Colorado Academy varsity lacrosse team won Friday's home non-conference game against Chaparral (Parker, CO) by a score of 18-3. 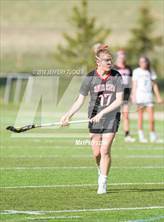 The Colorado Academy varsity lacrosse team won Tuesday's away non-conference game against Regis Jesuit (Aurora, CO) by a score of 16-5. 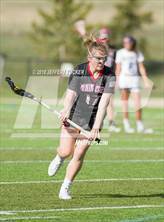 RESULTWin Girls varsity lacrosse vs. Kent Denver. 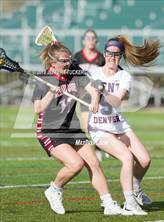 The Colorado Academy varsity lacrosse team won Saturday's home conference game against rival school Kent Denver (Englewood, CO) by a score of 21-4. RESULTWin Girls varsity lacrosse @ Denver East. 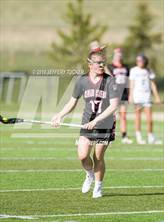 The Colorado Academy varsity lacrosse team won Wednesday's away conference game against Denver East (Denver, CO) by a score of 16-2. RESULTWin Girls varsity lacrosse vs. Mullen. The Colorado Academy varsity lacrosse team won Monday's home non-conference game against Mullen (Denver, CO) by a score of 19-2. RESULTWin Girls varsity lacrosse vs. Rocky Mountain. The Colorado Academy varsity lacrosse team won Wednesday's home conference game against Rocky Mountain (Fort Collins, CO) by a score of 19-0. Gracie had 6 photos tagged from the game against Rocky Mountain. RESULTWin Girls varsity lacrosse @ Menlo School. The Colorado Academy varsity lacrosse team won Wednesday's away non-conference game against Menlo School (Atherton, CA) by a score of 18-6. RESULTWin Girls varsity lacrosse vs. Sacred Heart Prep. The Colorado Academy varsity lacrosse team won Tuesday's neutral non-conference game against Sacred Heart Prep (Atherton, CA) by a score of 13-9. Gracie had 10 photos tagged from the game against Horizon. Gracie's lacrosse stats have been updated for the win vs. Horizon. RESULTWin Girls varsity lacrosse vs. Horizon. The Colorado Academy varsity lacrosse team won Friday's home conference game against Horizon (Thornton, CO) by a score of 18-0. 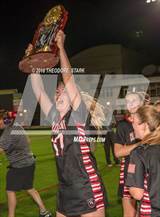 Gracie has been added to the Colorado Academy girls lacrosse roster. 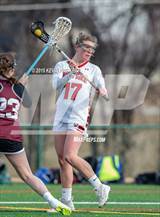 Gracie had 1 photo tagged from the game against Cherry Creek. Gracie had 7 photos tagged from the game against Cherry Creek.